Posted on February 16, 2018 at 9:00 am. A majority of homeowners face the trouble of dealing with an overflowing sink or bathtub every once-in-awhile. A clogged drain, blocking the water flow is the usual culprit. This happens when people forget to regularly clean their drains, which allows filth to build up and clog the pathways. Most homeowners, especially new ones don’t realize that drainage systems need regular upkeep and a deep clean once a year. Although it can be a hassle, drain system maintenance is not something to look over. To ensure proper function and regular upkeep, it is a wise choice to invest in a drain cleaning service in Chattanooga, TN. Clogged drains are one of the most common and irksome problems homeowners face. And their first plight of action is to get a chemical drain opener for an instant solution. But over time, store-bought drain openers damage the system and can lead to bigger problems. Leaving you plumbing troubles to the experts providing drain cleaning services in Chattanooga, TN can ensure regular maintenance of the systems and also saves you money in the long run. Drain cleaning services in Chattanooga, TN are provided by experts who know drain system maintenance like the back of their hands. These professionals who provide have all the legal licenses required to operate and provide these services. These licenses are only handed out to people who have the required professional knowledge and skills, and have gone through relevant training. Companies with expertise in drain cleaning services in Chattanooga, TN are often called “drain doctors” and for the right reason. They have people who can solve any drainage issue with great efficiency. If you attempt to solve the problem yourself, it would take twice the time, and not even work. Saving yourself the trouble and calling the expert drain cleaning services in Chattanooga, TN can save you time and money. Clogged drainpipes are the most common reason behind flooding sinks and bathtubs. But finding out the exact location of the clog in the drainpipes can be bit of a dilemma. Since homeowners don’t have the right equipment, they can’t make the right diagnosis. And when there is no clarity of where the problem is actually located; a lot of guesswork and harsh chemical treatments become the choice for many. But the drain cleaning services in Chattanooga, TN can help in diagnosing problems accurately and provide the best suited solution to get rid of it. Professionals providing drain cleaning services in Chattanooga, TN know what they are doing and have years of relevant experience of unclogging countless drains. They are equipped with the right tools and sufficient knowledge to inspect and give an accurate diagnosis of the problem. Many people are under the impression that drain cleaning services in Chattanooga, TN are incredibly expensive. Although this might be true on rare occasions when there is extensive work required; in the long run it is cost effective and saves you from a big expense. Many people attempt to clear their drainpipes using store-bought drain openers which contain harsh chemicals. These chemicals when used repetitively cause extensive damage to drainpipes and corrode the material. Pipes end up with holes in them, or even worst. These holes can cause serious damage to the entire plumbing system and surrounding property by leaking water into the structure. Problems of this scale usually require drain cleaning services in Chattanooga, TN and make a big dent in the wallet. If the drain cleaning services in Chattanooga, TN are utilized earlier on a more regular basis, you’d have to expend less and the job would be done much more efficiently. Usual store-bought drain openers available in the market contain harmful and corrosive chemicals. Over time, their regular use can start to corrode and dissolve parts of the pipes creating holes and leaks. In more extreme cases, these chemicals can cost homeowners their entire plumbing systems and considerable damage to their property. On the other hand, the paraphernalia used by the experts providing drain cleaning services in Chattanooga, TN is entirely safe and is meant to repair and sustain plumbing systems. The service providers have the right knowledge and experience to make sure the plumbing systems are working well and protected. So, save yourself the risk of damaging your plumbing system and home, and gets professional drain cleaning services in Chattanooga, TN. Homeowners and DIY enthusiasts, in order to find a quick solution and save a few bucks, use store-bought drain openers. These drain openers contain toxic chemicals which are not only hazardous for plumbing but also for the environment. If by accident the solution in the bottle comes in contact with skin, it can cause severe burns. Not just that, but harmful gases are also expelled when chemicals come in contact with air. On the other hand the professional drain cleaning services in Chattanooga, TN refrain from using harsh cleaners with hazardous ingredients. Most drain cleaners use cleaning systems which are gentle on the pipes and are free of corrosive materials. 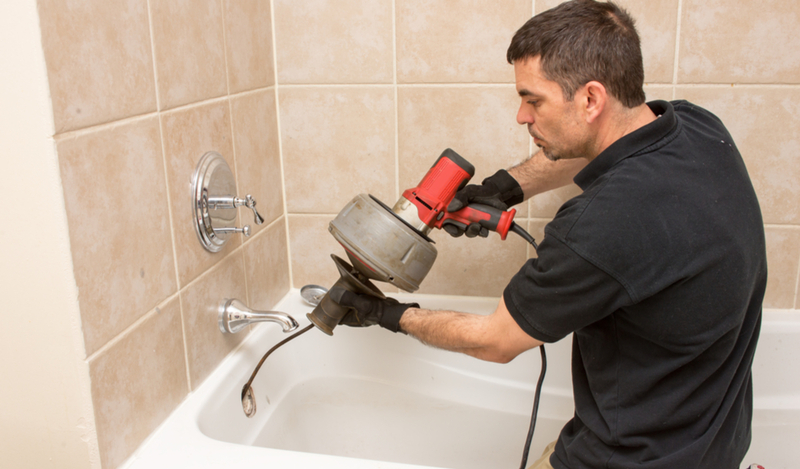 Now you know why the professional drain cleaning services in Chattanooga, TN are a better option for you. If you are facing issues with your plumbing and putting off calling the experts, then now is the time to do so. Inspections and maintenance at regular intervals from the drain cleaning services will ensure the longevity of your plumbing systems and keep them running smoothly. And these regular checks will spare you from costly damages in the future. If you require services in Chattanooga, TN, then get in touch with Metro Plumbing, Heating and Air now. The company has been serving homeowners in the Chattanooga, TN area since 1978, providing expert solutions to their plumbing, heating and air problems. You can visit their website or drop a call at their 24/7 hour helpline (423) 616-1025 to get a quote.